Burji Mamluk. 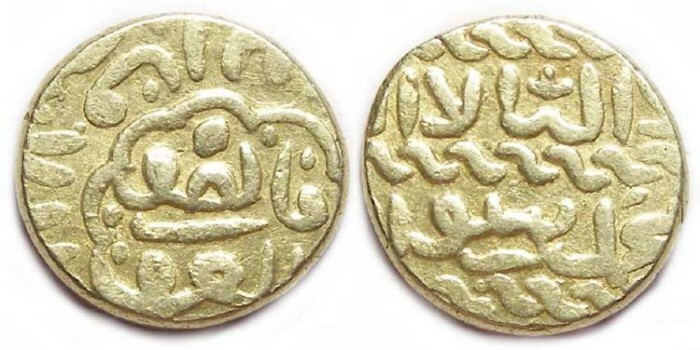 Qansuh II al-Ghuri. AD 1501 to 1516. Gold Ashrafi. Denomination : Gold Ashrafi. Mint : no mint mark is visible, but this is an al Qahirah (Cairo in Egypt) type. Date : No date is visible on this specimen (which is normal for this type). Reference : Album-1041, MI-1194 var. Size : 13.2 x 14.0 mm. Weight : 3.43 grams.